A stay at Hôtel Royal Victoria places you in the heart of Tunis, a 2-minute drive from French Embassy and 11 minutes from Carrefour Market. 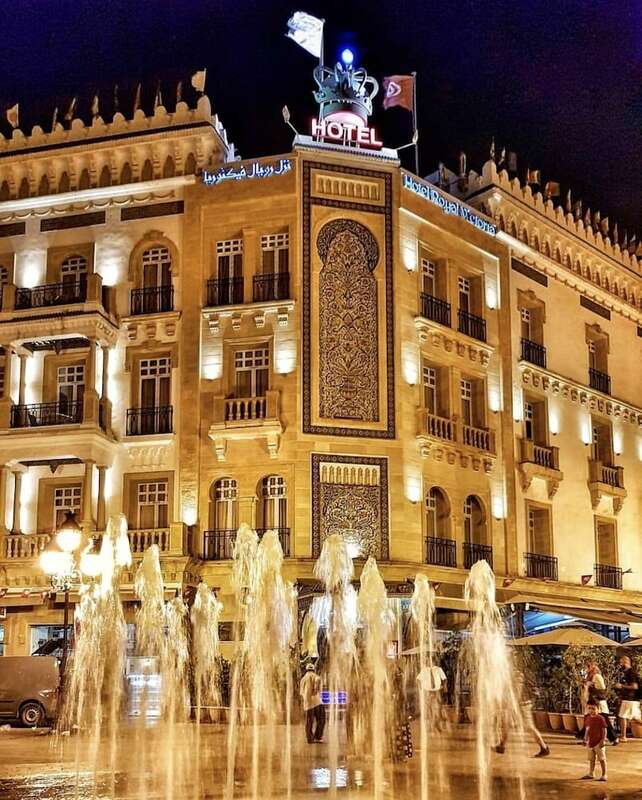 This 4-star hotel is 1.9 mi (3.1 km) from Tunis Zoo and 3.3 mi (5.3 km) from Bardo Museum. Make yourself at home in one of the 39 air-conditioned rooms featuring minibars and flat-screen televisions. Complimentary wired Internet access keeps you connected, and satellite programming is available for your entertainment. Private bathrooms with bathtubs or showers feature complimentary toiletries and hair dryers. Conveniences include phones, as well as safes and desks. For lunch or dinner, stop by Aicha, a restaurant that specializes in local and international cuisine. Dining is also available at the coffee shop/café, and 24-hour room service is provided. Mingle with other guests at the complimentary reception, held daily. Quench your thirst with your favorite drink at the bar/lounge. A complimentary hot/cold buffet breakfast is served daily from 6:30 AM to 10 AM.